Reflexology is a holistic therapy which involves focussed pressure on the feet and hands. It is based on the idea that reflex areas in the feet and hands correspond to organs and parts of the body through the nervous system. The main principle of Reflexology is through the nervous system, which links other areas on the body together. Your head in linked to the toes while an area on the right side of the foot it linked to the shoulder and arm. The arch of your feet connects to the Kidneys, Liver and Pancreas. Which areas of the body does Reflexology connect to? 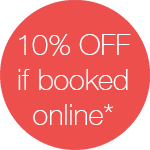 If you would like to book a Reflexology treatment please BOOK ONLINE or call. ★★★★★ Excellent reflexology bodytonic clinic, highly recommended! ★★★★★ Just the perfect reflexology treatment, very relaxing! ★★★★★ A very relaxing treatment, Sheena was brilliant. First reflexology session but definitely not my last. ★★★★★ Just perfect! Thank you Helen. ★★★★★ Lovely reflexology treatment, very relaxing, almost put me to sleep! Looking for Reflexology in London, SE16 (SE8), bodytonic clinic can help! By applying pressure and massage to certain areas of the hands, feet & ears, Reflexology can help. Reflexes are areas on the feet which the Reflexologist will provide treatment to which are linked to other areas of your body and nervous system. Applying pressure to the hands, feet & ears can help with your wellbeing. Some people advise that that following treatment they have the feeling of lower levels of anxiety and feel calmer. 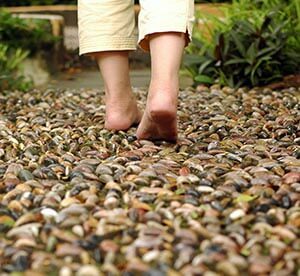 Reflexology is an alternative medicine, which is also knows as zone therapy, which not a lot of people know. The reason for the name ‘Zone Therapy’ is that it is based on a system of zones and reflexes on your hands, feet and ears. These systems of zones and reflex areas are alleged to help with physical aspects of the body. Currently there is no evidence that this is an effective treatment for specific medical condition. Reflexology can help with stress and tension. Reflexology can improve health and mood. Reflexology massage can aid sleep and help combat insomnia. Reflexology can improve physical and mental well-being, and promote relaxation. If you would like to come in for a Reflexology Massage treatment please call one of the team or book online.